The Paradise Path: Stepping into Your Dream Life! Paradise Path Retreat participant, Amy Mason, celebrating! 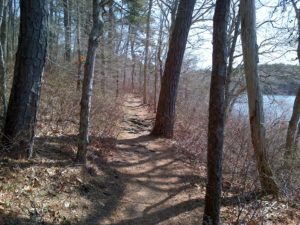 This is a three hour women’s walking retreat on The Little Cliff Pond Trail (approx. 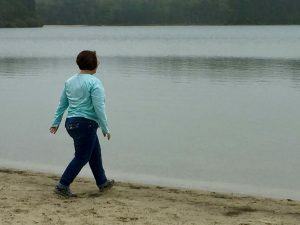 1.5 mile) at Nickerson State Park in Brewster, MA on Cape Cod. Space is limited to six women per retreat. NOTE — This may be a NEW Location for you! A complete refund is available up to 7 days before the start of the retreat. 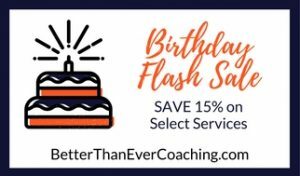 However, after that time, if you need to cancel, you will be given a credit towards another retreat or another Better Than Ever Coaching service. Once your payment is received, Helen will send you an e-mail confirmation and additional information about our time together! Nickerson State Park may collect a “Day Charge” on the day of our retreat. This charge may be $8 for MA plates and $10 for non-MA plates (cash only). Helen loves working with people interested in creating lives that are “Better Than Ever” and having fun in the process! 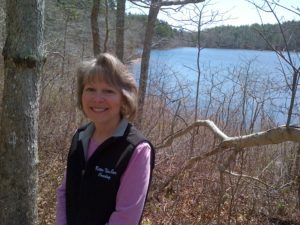 She looks forward to having you join her in the beauty of Nickerson State Park, where during the Paradise Path Women’s Walking Retreat you are given the time and space to relax, rejuvenate and reconnect with your dream life! If you have any questions, please click here to send Helen an e-mail.